Written by Kim on March 28, 2019. Come for the sea caves; stay for the jaw-dropping beaches. It’s a sad truth that so many of us have started to plan our vacations around what we see on Instagram. From a sun-drenched swing over open ocean water to a dogsled adventure under the Northern Lights, these picture-perfect settings inspire us to visit far-off locales in search of a particular experience. It has its pluses and minuses for sure. In a way, it’s a very narrow focus, lusting after a particular spot on the globe just because you saw someone else’s version of it on social media. But also, it opens up new possibilities. Perhaps you never considered visiting Morocco before, but a gorgeous picture of a night spent under the stars at a desert camp in the Sahara inspires you to book a ticket. That’s what happened with me and Portugal. When I studied abroad in Europe, there was a long list of places I wanted to see, and I actually visited almost all of them. Portugal was the only one I didn’t get to, and it was on my list because I wanted to go to Spain and it felt weird not to go to Portugal, too. A great reason to visit, right? 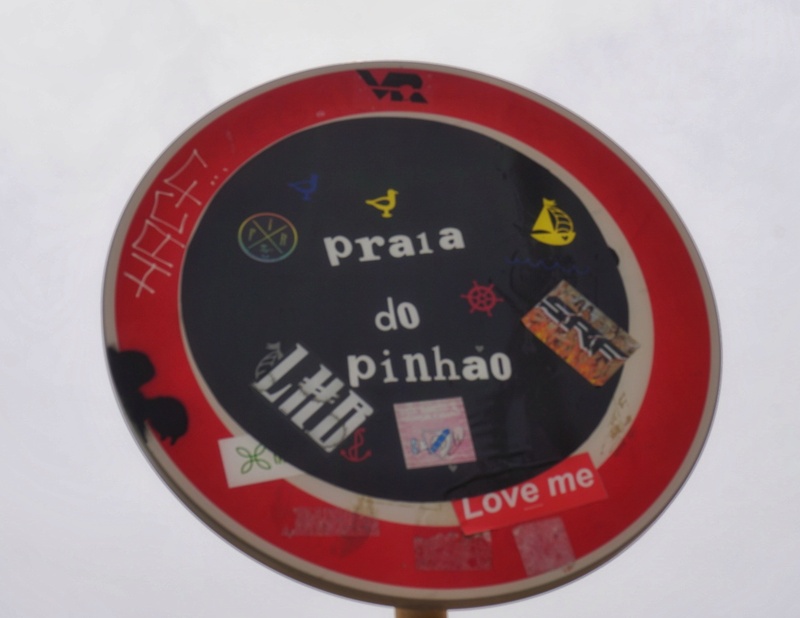 As the years went by, a zillion more European destinations sprang to the top of my list, pushing Portugal further down. But as luck would have it, my social feeds started filling with pictures of Benagil Cave in the Algarve region and the unbelievable Miradouro da Boca do Inferno on São Miguel in the Azores. Now I had reasons to visit, albeit just a few. It was time to go. And I discovered one of my very favorite places on earth! 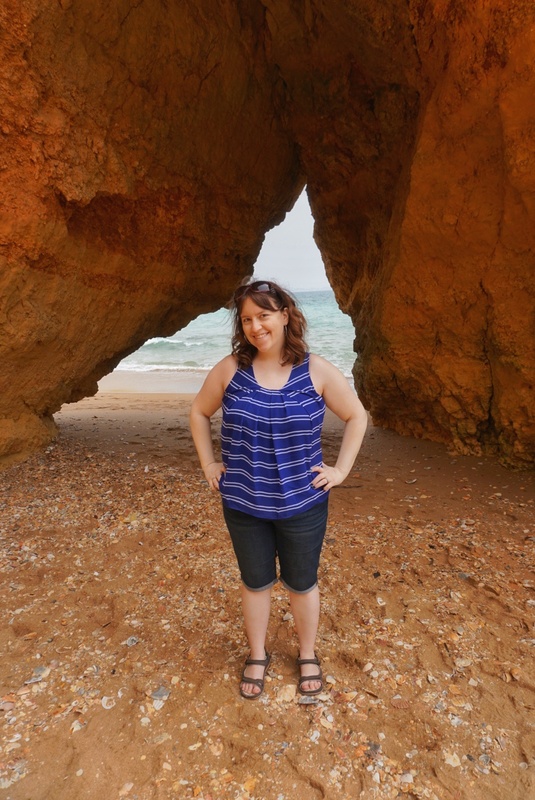 Admittedly, I had done a little more research and I knew the Algarve region was famous for its jaw-dropping beaches, complete with the limestone rocks jutting out of the sea. I booked an Airbnb next to a beach in the town of Lagos. I knew it was going to be beautiful, but nothing I’d seen online fully prepared me for what was in store as we walked down to the beach on our first night in town. First glimpse of Praia Da Dona Ana. We spent the next three glorious days hopping from beach to beach. 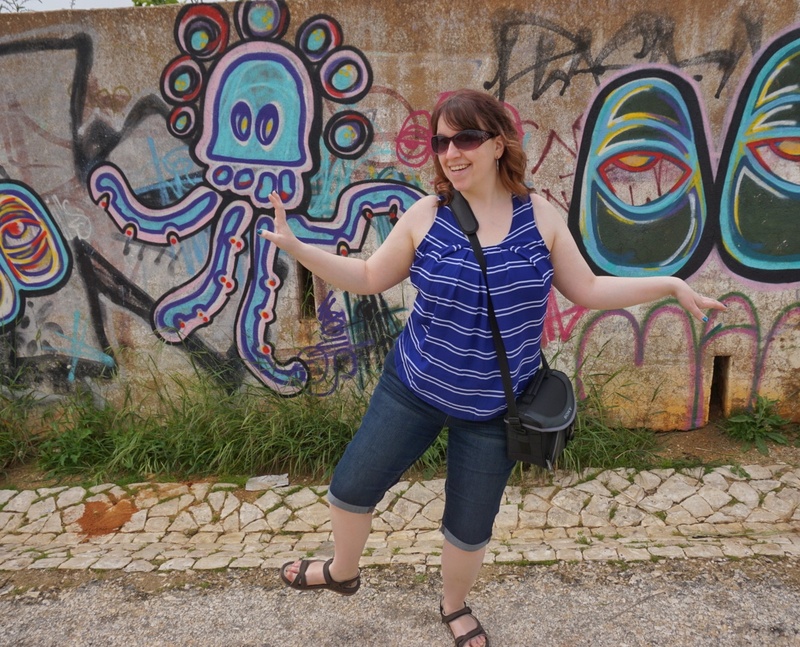 Here are my picks for must-see beaches in the Algarve region. This was my first glimpse at an Algarve beach, and that day as I was posting my pictures on Facebook, I said that I had found my new favorite beach on the planet. And nearly a year later, I haven’t discovered another that’s better. This beach is the stuff postcards are made of, dramatic coastlines and crystal-clear waters. It’s a relatively small beach located just outside of Lagos and is a favorite for a leisurely day spent snorkeling or sunbathing. I found it to be quite excellent for shelling as well! All the beaches in the Algarve region have a number of stairs to access them, and this one has nearly 100. My handsome “husby” in the waves. Hands down, this one wins the most drop-dead gorgeous beach award! Despite having to trek down about 200 stairs to access it, the secluded beach is a favorite among locals and tourists alike. Once you make it down the stairs, you’ll quickly discover that there are actually two beaches connected by a cave hole tunnel. The rock formations protect the beach from a lot of wind, so the sea is very calm. We visited two different days, and although we didn’t want to tackle the stairs on the second day, the view from the top is quite spectacular. Not far from Lagos, this unbelievable spot juts out of the sea, ready and waiting to provide a spectacular Insta-backdrop for your beach selfie. The views are stunning from all angles, and you can reach this spot by foot from Lagos, by car, or by boat. We chose to walk the coastal path from our Airbnb, stopping at each beach along the way. You can enjoy this spot from the bottom once you’ve walked down 182 steps, or from the top especially at sunset. Make sure to walk around the nearby lighthouse. Feeling Insta-glamorous at Ponta da Piedade. This is a quiet beach, and relatively difficult to access. It wasn’t our favorite, but we felt accomplished hiking up a hill and down a long staircase to access this deserted stretch of sand. The stairs weren’t as well-maintained as the other beaches, and the sand wasn’t as well kept, but it had a certain gritty charm to it. This is an incredibly popular beach in the heart of the town. In a way, it reminded me of a beach in the Cinque Terre, boats coming and going, tourists sunbathing, and colorful hotels and cafés dotting the shoreline. This is a popular spot for sea cave tours to Benagil—we booked through Carvoeiro Caves. After our tour, we had a great time strolling along the Carvoeiro Boardwalk, a wooden boardwalk about 570 m in length. It leads to a spot called Algar Seco, a unique rock that reminds me a bit of formations on the interior of a cave or perhaps melting candle wax—and it’s a popular spot for the daring adventurers who want to veer from the path and get their climb on. Kyle had a great time! This was an unexpected stop for us, as we were nearby to visit Benagil. We decided to drive a little further down the road to see what other beaches we could find. I later found out that this is recognized as one of the most beautiful beaches in the world and has been highlighted in numerous media outlets. This beach is pure magic, surrounded by steep cliffs and panoramic views. The Algarve region is something out of storybook fantasies, filled with scenery that seems too good to be true. We visited in April just before the crowds arrived for their summer holidays. 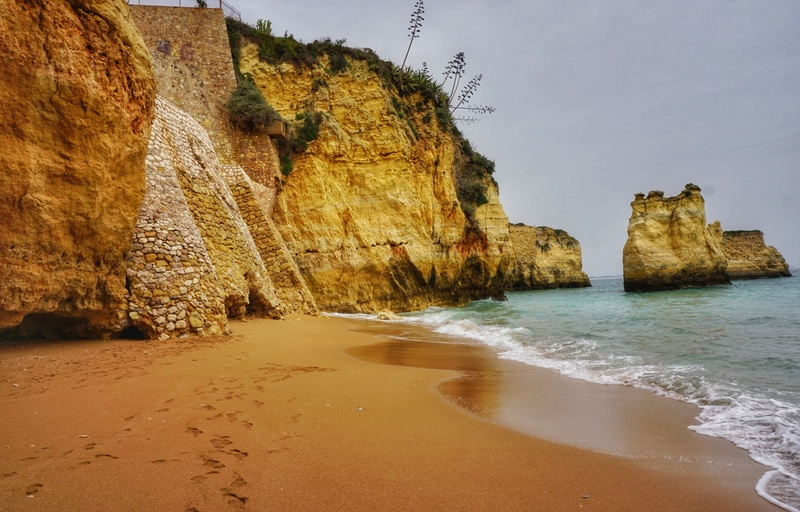 Although it was too cold to swim, it was absolutely ideal for strolling the seaside walkways and exploring these picture-perfect beaches that dot Portugal’s southern coast.